Monday, 22 April. It seemed to be like an another normal day. Another calm day in our Rustavi. In one moment everything changed. 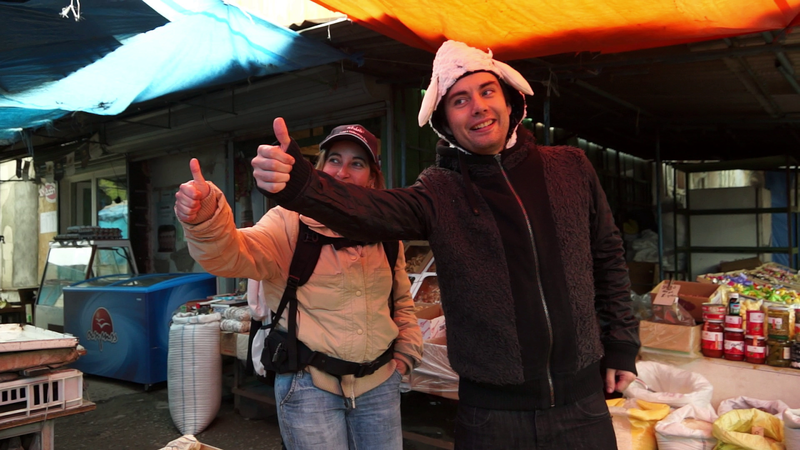 With the arrival of the French volunteer, cameraman Clément, who came up with the idea to shoot a video for The European Voluntary Service Film Festival organized by the French National Agency. As 2013 is the ‘European Year of Citizens’ young people got opportunity to share their vision of citizenship and exchange view points on civic engagement. So, what is your idea about citizenship? What exactly citizenship means for you? 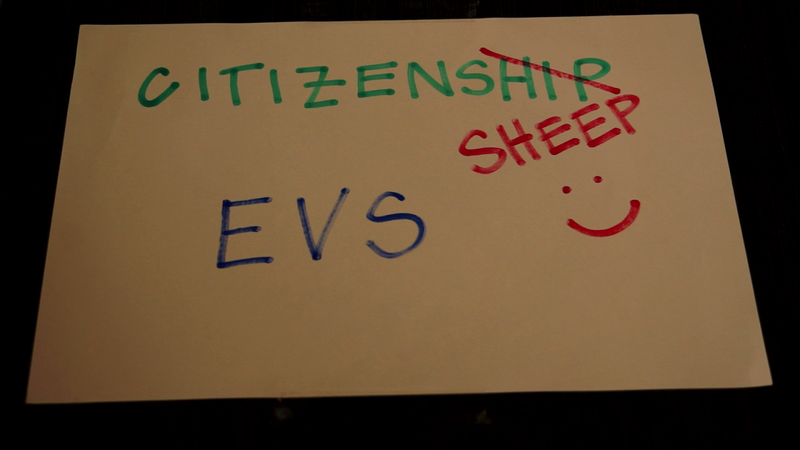 From the small play with words volunteers from GYE created the name of their video: CitizenSHEEP. Bee-e (or me-e)? Now just to find a costume of the sheep, get the main actors, take a couple of shots and create a final video … and our own big georgian contest can start!!! Voted. Good Luck!! and Regards from Spain. Good luck from Croatia.... !!! You deserve to win it guys ! ! ! Is there any limitation how old video can be? 813 votes!!!! Only 14 votes ahead of the video, which appeared to be the favorite until the last moment! All this votes helped us to won the price of the Internet Aware Award - camera in the value of 250 € - and our movie will be screened in the European meeting “Video and Youth project : the Big Picture” in Montreuil (Paris), France. Many thanks to all who shared, voted ... or just silently prayed. 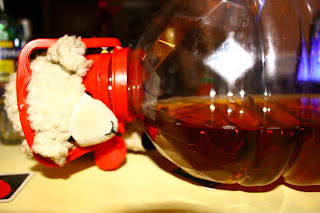 Our CitizenSHEEP drank for you on our afterparty!!!!! !